We encourage you to stay the entire weekend and enjoy the small town feel of River Falls. 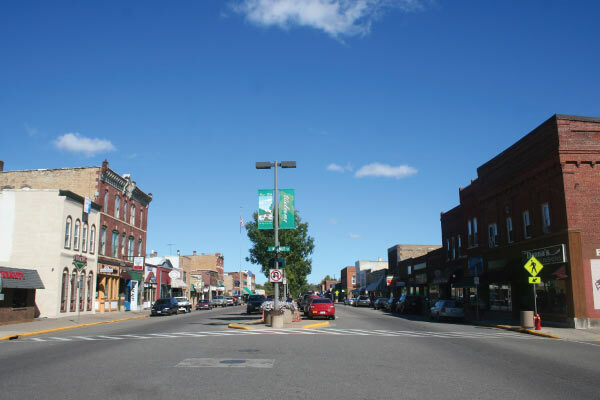 It has a bustling college campus, a nationally-recognized trout stream, a historic Main Street and irresistable small-town energy. The character of the community is felt on its Main Street, where specialty shops, restaurants and the historic Falls Theatre brings you back to a simpler time. Our historic Main Street is the perfect setting for a walk around town to enjoy the scenery and a wide variety of local businesses and resources. Enjoy your stay at a variety of unique lodging options in River Falls! Shopping and Specialty Retail: Enjoy the unique retail stores River Falls has to offer. Restaurants, Food and Beverages: You won’t go hungry while you’re here! Local Attractions: White Pathway, Glen Park and UWRF campus. 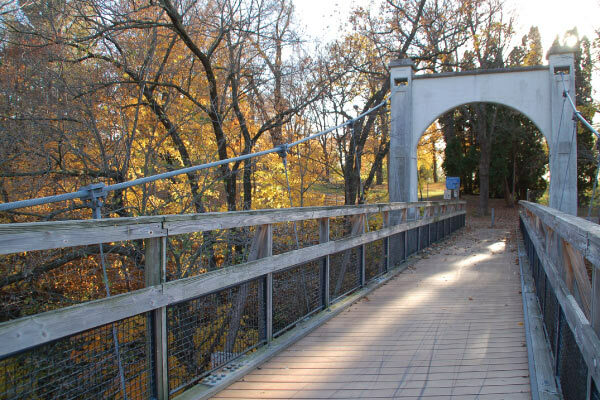 Take a stroll down the White Pathway (cross the bridge at Veterans Park downtown) and head left, visit Glen Park (enter from Main and Park Street) or explore the University of Wisconsin-River Falls campus. All are within walking distance of our downtown area. 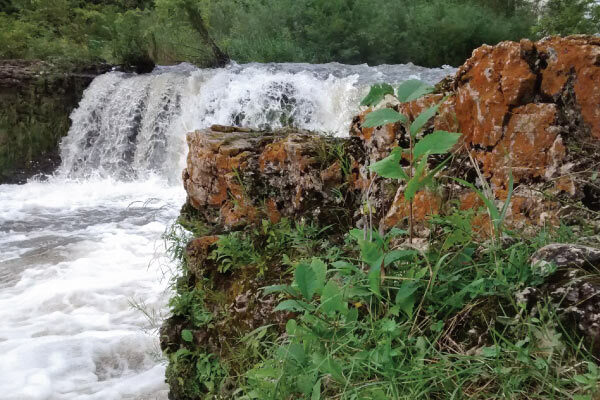 The Kinnickinnic River, a Class I trout stream, is surely the highlight of any visit to River Falls. If you are looking for a spot to relax and enjoy the natural landscape of River Falls, be sure to visit Glen Park and the Swinging Bridge. Don’t miss the new Roots and Bluegrass Festival Band Contest and the Singer/Songwriter Competition which promises to be an exciting competition among the best of the best. Prizes will be awarded for the top three artists. Review the line-up for a detailed listing of the bands preforming throughout this foot stompin’ Roots and Bluegrass music weekend! Don’t miss our 5th Annual Beer & Wine Tasting. Sample the best beers and wines in the area and enjoy live bluegrass music by the Good Intentions. Advance tickets will be available at Brickhouse Music, Junior’s Restaurant & Tap House, and the River Falls Chamber office. Review the line-up for a detailed listing of the bands performing throughout this foot stompin’ Roots and Bluegrass music weekend! Don't miss our Annual Beer & Wine Tasting. Sample the best beers and wines in the area and enjoy live bluegrass music by the Good Intentions. Advance tickets will be available at Brickhouse Music, Junior's Restaurant & Tap House, and the River Falls Chamber office.